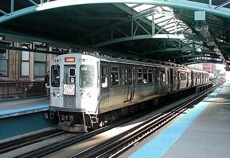 Chicago Transit Authority announced that select CTA and Pace customers will begin using the new Ventra fare payment system in August 2013, with a full public rollout following a few weeks later in September. Ventra will replace CTA and Pace’s existing, nearly 20-year-old fare payment system and offer transit customers to use a single fare card for transit throughout the Chicago region. Customers can use a Ventra Card, Ventra Ticket or their own contactless-enabled bank card to pay for CTA and Pace rides by loading transit value and passes. With Ventra, customers are presented with the convenience and flexibility of a modern fare payment system, including faster boarding, account management and value protection. A simple “tap” of a contactless card will allow customers to quickly board CTA buses and trains as well as Pace buses. Ventra has no fees or daily transit use and CTA and Pace fares will remain the same, unaffected by the transition. Cash will also still be accepted on buses. Upon launch, Ventra will be one of the nation’s largest transit open fare payment systems, and will eventually include a networking with more than three times the current number in the region, expected at around 2,000. As installation and testing of Ventra fare readers and vending machines continues, the CTA and Pace provided an overview of the transition to Ventra and the plans to educate and assist customers in moving to the new payment system.